The picturesque Snowdonia National Park and Anglesey are home to endless classic routes such as Lighthouse Arete and Cemetry Gates and also many different rock types. 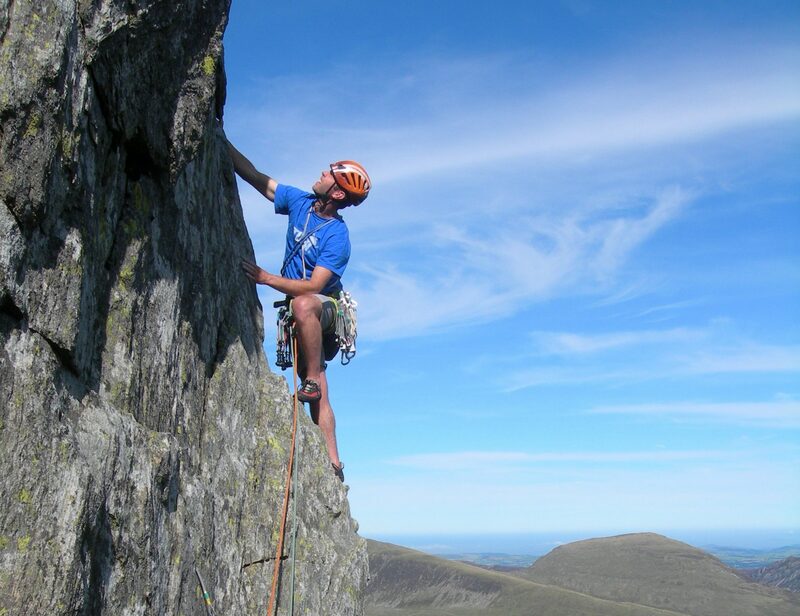 Our guided climbs are an ideal opportunity to experience new and exciting types of climbing such as multi-pitch or sea cliffs without having to worry about finding the routes or leading them yourself. Whatever your ability level or requirements we can work with you to design an itinerary that will allow you to experience the best that Snowdonia has to offer. What can I expect from a guided rock climb? A guided rock climbing day is specifically tailored to meet your needs. Some people enjoy being guided up climbs with minimal coaching whilst others want to refine or learn certain skills along the way. Examples of such skills are safeguarding an abseil, building belays and problem solving techniques. Many people who want to learn to climb but lack confidence find they benefit from a guided climbing experience to develop thier skills at their own pace without any pressure from other people. A head for heights is beneficial although not essential. Please contact Freedom Outdoors for more information on our Guided Rock Climbing Snowdonia, or to discuss your requirements and make a booking.